After having traveled around the high Himalayas during the previous six years i.e. Kashmir (2006), Chardham Gharwal (2007), Sikkim (2008), Arunachal Pradesh (2009), Uttarakhand – Kumaon (2010) and Himachal – Kinnaur & Spiti (2011), I thought of taking a break and headed for the Andaman’s this year. However, as the monsoon sets in early in this part of the country, I prepared for the journey well in advance and with the commencement of the summer holidays of the kids from 14th May, 2012 we headed for the famed destination. It was early morning Air India flight at 5.30 A.M and we had to start for the airport at 3.30 A.M itself. This particular flight is the only direct one from Delhi and is a hopper flight with a 20 minute halt at Bhubaneshwar, Odhisa. The air plane was a small 70 seater Bombardier built CRJ 700, with cramped leg space coupled with a very constricted overhead, but flies fast and we had an pleasant flight of 05 (five) hours duration (including the midway halt) and landed at Port Blair’s Veer Savarkar Airport at 10.30 A.M.
At the airport, we were picked up by the vehicle sent by our tour operator that dropped us at the South Point Circuit house. We freshened up and after having an early lunch, had a little nap to refresh ourselves. At 2.30 P.M. sharp, Mr. John the driver & guide allocated to us, turned up and we went out for our very first trip in the Island, in this part of the Andaman Islands known administratively as the South District or South Andaman. 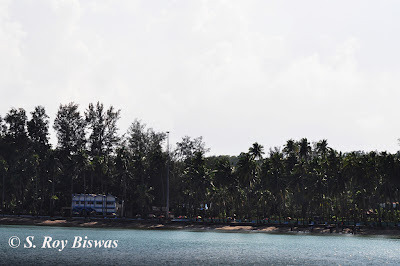 As per the schedule, we were to go to the famed beach named Corbyn’s Cove, which is the only beach in Port Blair and offers water scooter, speed boat thrills to the tourist. 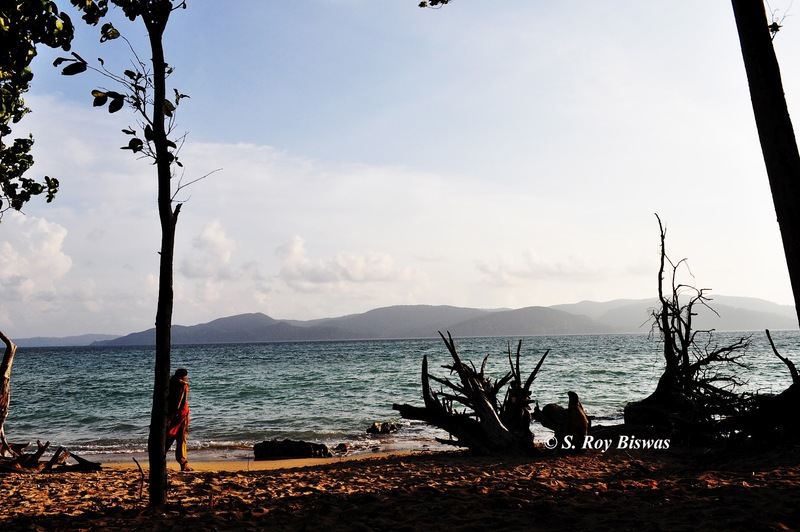 The road to this secluded beach, which is about 7 Kms. 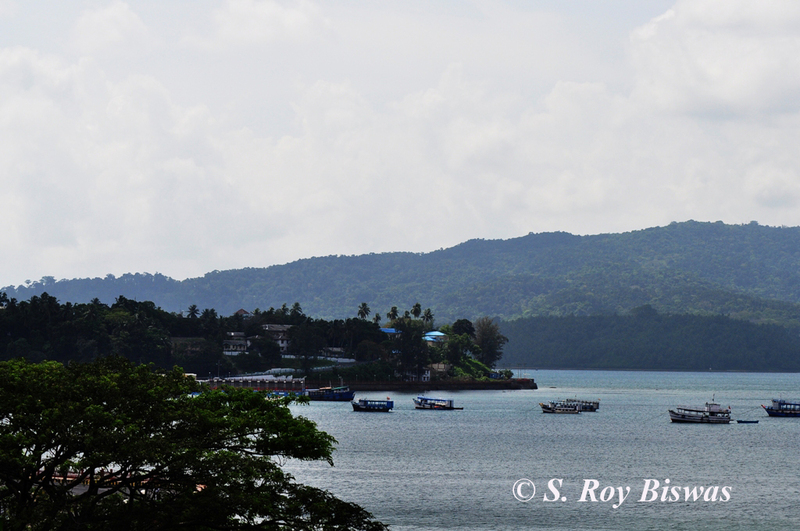 from the main township, passes through some picturesque roads clinging on to the island along the sea side. The beach though small is very beautiful and one can enjoy speed boat, water scooter rides etc. and also relax along the beach on beach side chairs that can be hired on hourly basis, for some nominal charges. We spent some time frolicking around in the sea shore. The next destination for the day was Chidiya tapu, which is on the extreme end of the island i.e. 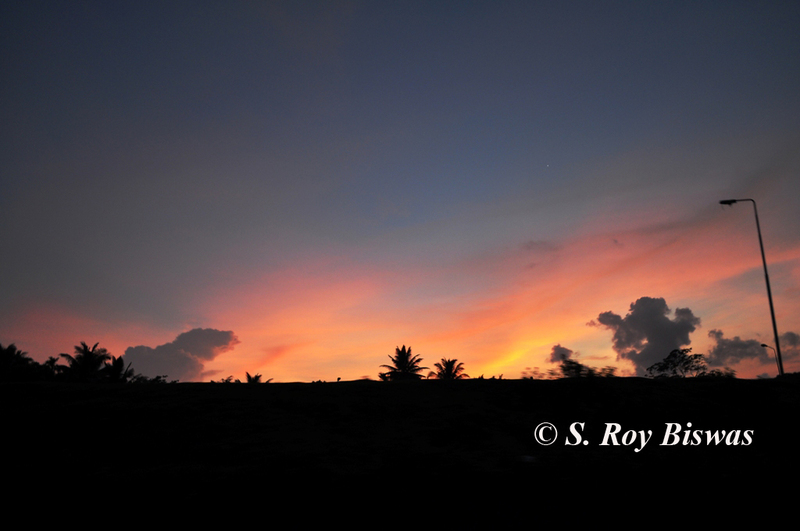 the southern most tip and is known for its famed sunsets. Chidiya tapu is situated at a distance of about 25 Kms. 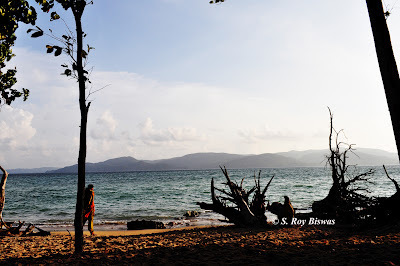 from Port Blair and on the same road as Corbyn’s Cove, albeit a little bit further. We found a group of tribal boys & girls dancing there and it was an interesting experience at no added cost. The beach has been badly denuded by the tsunami of 2004 and huge tree trunks can be found strewn around across the beach and in the sea. However, the water was turquoise blue and the gentle nature of the waves, both here and at Corbyn’s Cove really gladdened our hearts, as none of us know how to swim. 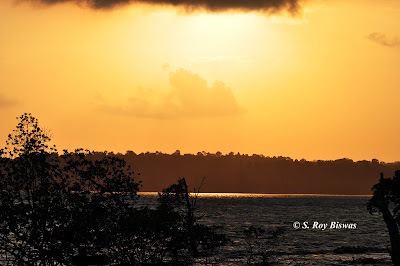 We spent some quality time here and witnessed a spectacular sunset, which was all the more satiating, as we had our evening tea with some hot fresh green banana pakodas (kind of fried snacks), which elevated the mood further. 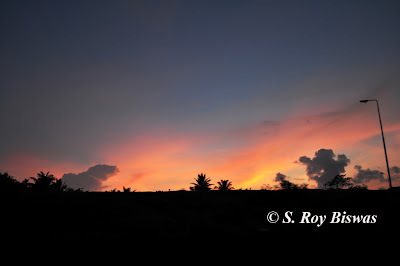 While returning back, the sky was colored with multitude of hues and I could not stop clicking photographs with my camera from the moving vehicle and the efforts paid its dividends. The last scheduled activity for the day was to watch the famed Son et lumiere/Sound & light show at the once infamous Cellular Jail and as the show was scheduled for 6.30 P.M. we had some time and Mr. John having observed my interest in photography, drove us to a hillock where people jog/stroll during the evenings. 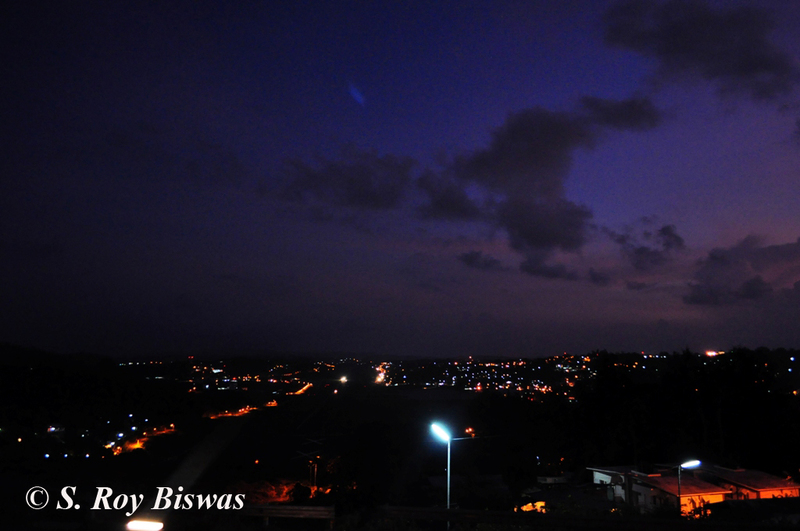 The sight of the entire Port Blair town-ship, with the Airport in the forefront was totally mesmerizing and I used my tripod to get a shot. 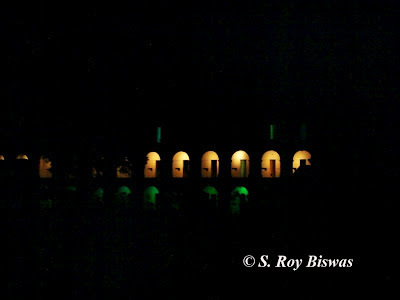 Later we visited the Cellular jail and purchased tickets (@Rs.10/- for adults alongwith Rs.25/- for still camera and Rs.50/- for ordinary Video camera) all of which was purchased by me. The show was an eye opener with narration of heart wrenching tale of atrocities inflicted by the British in the jail house and is a must watch for all patriotic Indians. 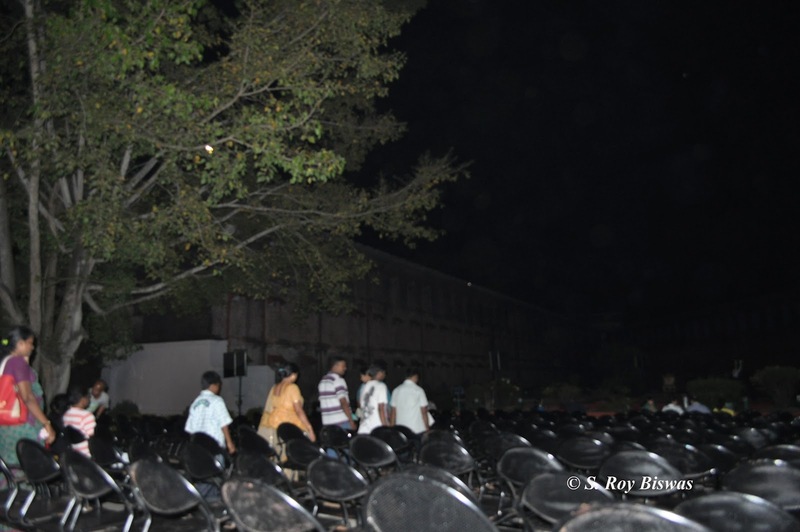 Having watched the show, we went back to the Circuit house to retire for the night. Nice post. 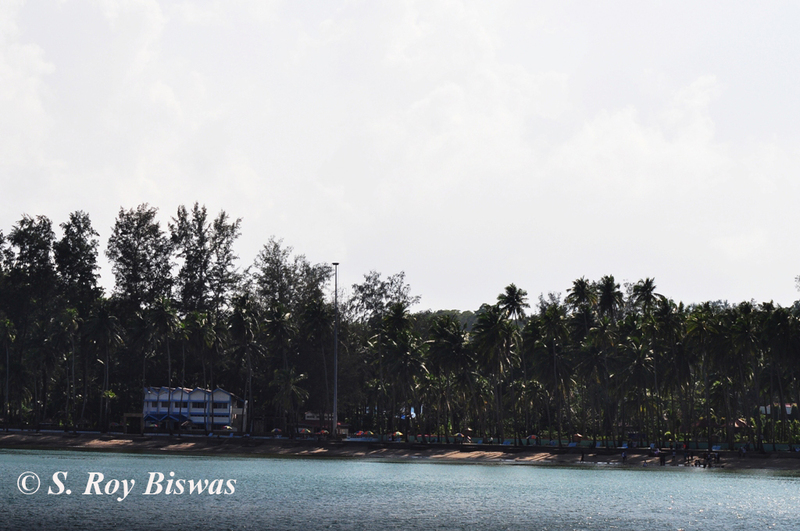 Port Blair is famous for being a significant base for the Indian Coast Guard, Indian Navy and the headquarters for the Tri-Services Command. 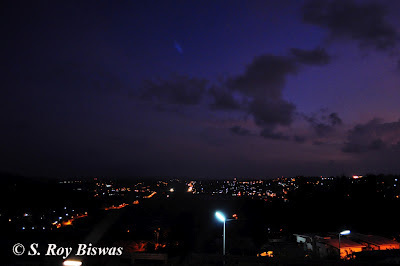 The township is known for its picturesque beauty and relaxed ambience. Water sports such as snorkelling are a major attraction for a large number of tourists. Explore Port Blair tourism also. Your tips and techniques are very essential and necessary for SEO. Anyway, thanks and keep on posting!